Our junior fixation sticks are ideal for keeping a child’s attention during eye assessments. They are doubled-sided and made from plastic, for easy cleaning and reuse. Each side shows bold colourful pictures with lots of detail and words. 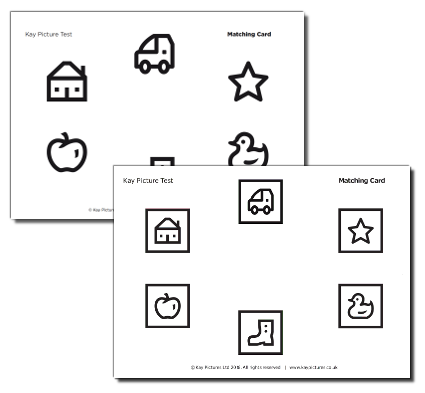 Designed with slightly older children in mind, the pictures provide more detailed scenes for discussion, plus a small list of words relating to them. Use to attract and maintain fixation during cover test, etc. Hold at 33cm distance at mid line eye level. Avoid solvent based cleaning solutions. Our junior fixation sticks come in a pack of three fixation sticks. You may also like our infant fixation sticks.